Automation is becoming increasingly popular, especially in the home. A new suite of products have come on the market over the past few years with the express intention of automating processes like operating your lights and air conditioning, thereby making your life that much easier. The Honeywell Econoswitch is a stellar example of how home automation is changing how we live. One of my favorites of these automation products is the Honeywell Econoswitch RPLS740B 7-Day Solar Time Table Programmable Switch for Lights and Motors. This product gives you more control over your electricity bill by letting you program when you want your lights to turn on and off. It’s surprisingly customizable, with three different operating modes that each control your lights differently. 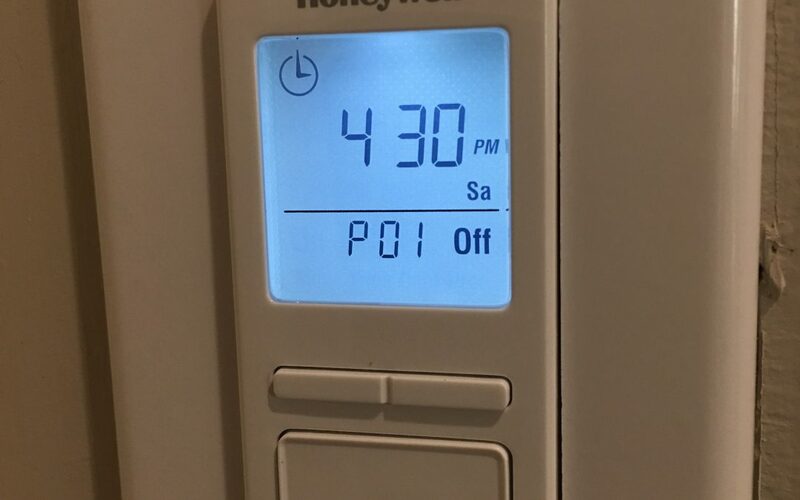 Use the automatic mode to turn your lights on and off at sunrise and sunset with the assistance of a solar timetable, or to program specific times that you want the lights to be on or off. Use the manual mode just as you would a normal lightswitch. And if you’re going away on vacation but worry about your house looking empty, simply set your Honeywell lightswitch to the Random mode, which turns your lights on and off in your absence to simulate someone being home while you’re away. You can even customize one of the device’s seven programs to curate the lighting at your house differently every day of the week. Another great aspect of this device is how versatile and easy to install it is. The Honeywell Econoswitch works with incandescent, halogen and fluorescent lighting, so it’s compatible with every kind of lighting fixture you’d be installing it to operate, and it can even be synced with motors, too. The device’s sleek design allows it to sit flush against standard wall plates, and it’s so easy to install that even if you’re not an A/V professional, you can do it yourself. Finally, the switch even comes with an automatic daylight savings update, giving you one less thing to have to remember! The Honeywell Econoswitch RPLS740B 7-Day Solar Time Table Programmable Switch for Lights and Motors is available from Amazon for the affordable price of less than $35. For its low price point and full range of services, I cannot recommend this product enough!